"Kigurumi" comes from a combination of two Japanese words: kiru("to wear") and nuigurumi ("stuffed toy"). Traditionally, it referred specifically to the performers wearing the costume, but the word has since grown to include the costumes themselves. In Japan, kigurumi costumes are worn as a way to break the conventions of traditional dress… or just as comfy pajamas! In addition to pajamas, kigurumi make great everyday clothes. They are quick to put on and you can wear them over your dull, normal clothes. In seconds, your life will go from tedious to old school stupendous. The relaxed fit of kigurumi costumes makes them a solid choice for lounging around the house on a lazy Sunday, taking care of business during a hectic day at the office or stealing the show at your next costume party. 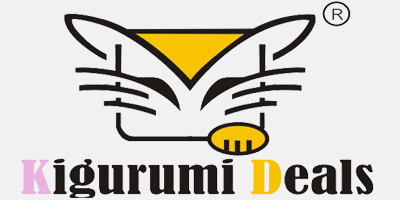 Kigurumi Shop's costumes are manufactured by Kigurumi Deals, the most respected and successful kigurumi manufacturer. Kigurumi Deals pays great attention to detail by using the highest quality material ensuring that your kigurumi will last. 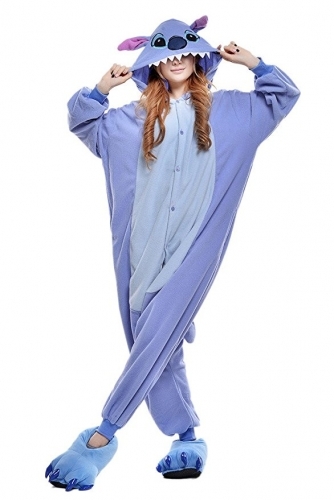 You're sure to love your Kigurumi Deals kigurumi, whether wearing it to a party or to bed. Most of our kigurumi are made out of high-quality, soft, polyester fleece. The fabric will keep you warm and cozy in the winter, but just unbutton a few buttons and you’re good to go for indoor wear at parties. Pile kigurumi are lighter and thinner than our fleece fabric kigurumi, making them ideal for warmer weather and dance parties! They are made of a towel-like material, which is slightly coarser than our fleece material, but still comfy. The fit is a bit looser. The wrist and ankle cuffs on all of our kigurumi are elasticized. 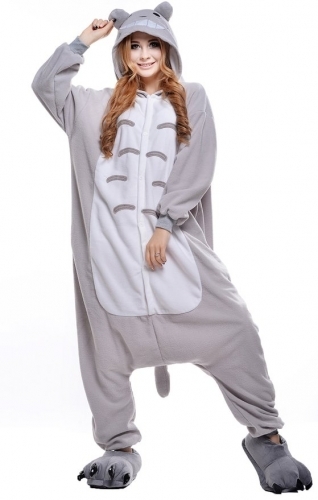 Animal Kigurumi (Such as the Tabby Cat, Dinosaur, Fox, etc.) come with side pockets along the side seam of the Kigurumi, and Character Kigurumi (Such as the Hello Kitty, Gloomy Bear, Rilakkuma, etc.) DO NOT come with side pockets unless otherwise stated in the product description. This applies to both our fleece and pile kigurumi. For more info, check out our Kigurumi Measurements page. You just wore your kigurumi to a crazy party over the weekend and now you need to clean it so you look sharp for your important business meeting on Monday? No problem! We know you're kind of a big deal and don't have time for dry cleaning. All of our kigurumi costumes are machine washable and can stand repeated cleanings without losing their shape. Win! 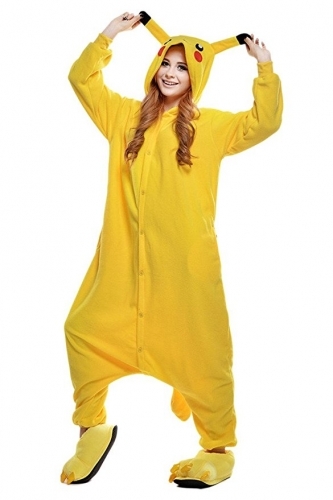 Visit our Washing Your Kigurumi page for detailed instructions.